Don’t forget about this Milk-Bone Coupon you can stack with an Ibotta to save big on dog treats! 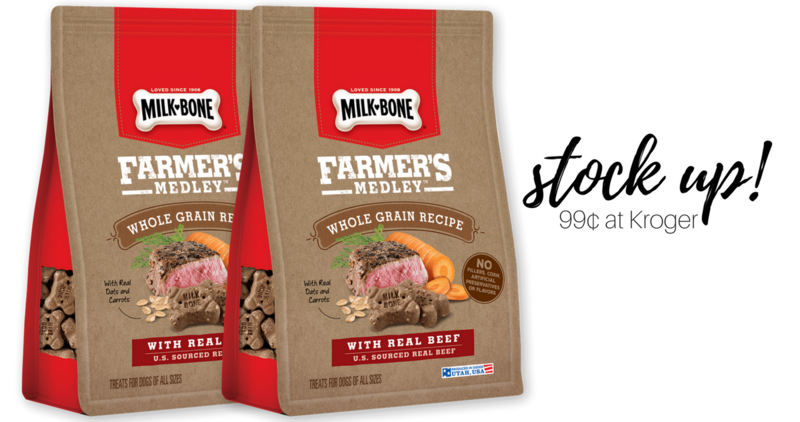 Makes Farmer’s Medley Dog Treats 99¢ at Kroger or $1.19 at Target. Remember that you can use the Ibotta offer up to 3 times, so be sure to print out 3 coupons and grab 3 bags since this is such a great price!